and girls from Ontario and around the world. Full day programs, including lunch, with both waterfront & land-based activities and experienced caring staff. 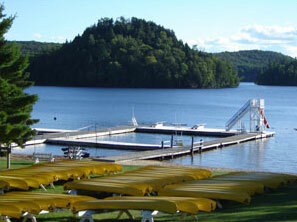 Safe Outdoor Education and all-season recreation facilities combined with trained, professional leadership. An independent school with a tradition of academic excellence and an outdoor focus. Welcome. 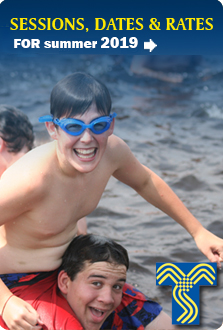 For 58 years we have offered wonderful summer camping experiences for boys and girls from Ontario and around the world. In a safe and beautiful outdoor setting, with competent, enthusiastic leaders, children have the opportunity to grow as individuals through wholesome activity in all areas of outdoor living. Take a tour around the site and see why we believe that everyone can grow in the richness and beauty of the Tawingo community. Camp's strength is in the friends who frequent it. It's NOT TOO late to register for Camp for this coming summer! Being FULL does not mean there is no chance of getting in! Sometimes, cancelations are unavoidable – illness, injury, family challenges and changes of plan can all impact a camper’s registration – no matter how badly s/he/they wish to return to Camp. And each cancellation that occurs is an opportunity for another camper to come to Camp! Please click here to apply for summer 2019! Sending children to an overnight, or day camp, builds resilience. Published on February 5, 2012 by Michael Ungar, Ph.D. in Nurturing Resilience. I recently spoke to 300 camp directors about how to make children more resilient to life stress. Please note that our Annual Water Report is available free of charge for those who wish. Contact our office for more information. We have heard that "Tawingo wrote the book about how to run a Summer Camp"
- We believe it. Keep doing what you are doing. A very sincerely thank you. "